It reserves the space all the time because it needs it some of the time. 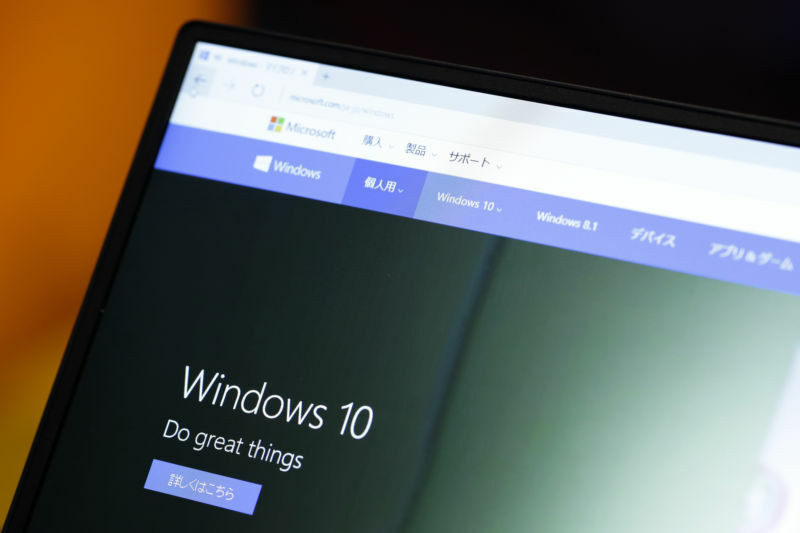 Windows 10: Doing great things sometimes requires 7GB? The exact amount reserved will depend on the optional features and language packs installed, but about 7GB will be typical. The reserved space isn’t entirely lost during normal usage, with certain temporary files having their disk usage charged against reserved space rather than free space. Being temporary, such files can be safely discarded each time an update is available to reinstate the full reserved capacity. The reservation itself is implemented within the NTFS file system. Each file system can have a reservation set, and free disk space will drop by the size of the reservation. Files created for Windows updates are marked specially, allowing their space usage to be charged against the reservation rather than regular free space. It isn’t yet clear if the ability to create reservations will be a general-purpose facility. Advanced file systems on some other platforms (such as ZFS in Solaris) include a general reservation facility that operates in a similar way to this update-specific system, so it’s not impossible to imagine Microsoft generalizing the capability.